1. WHAT IS SOCIAL THINKING? Social Thinking® is based on the innovative work of Michelle Garcia Winner, who created the Center for Social Thinking. The social thinking curriculum teaches how the social world works and focuses on explicit instruction of key concepts, with an emphasis on using these skills in everyday life. Social intelligence is critical to navigating the world, building meaningful relationships, and solving problems effectively. Learn more about Social Thinking at www.socialthinking.com. Social Thinking teaches the thought processes behind social interactions. This unique curriculum helps children understand the importance of using these skills and how to apply them efficiently in their everyday life at home, in school, and when hanging out with friends. 3. HOW DOES SOCIAL THINKING RELATE TO ACADEMICS? Students who demonstrate Social Thinking challenges often also exhibit difficulties across all subject areas, most especially in reading and writing expression, as all these subject areas require a solid understanding and application of social thinking concepts. Social Thinking concepts which are embedded into academic skill areas include (but are not limited to): perspective taking; understanding the “gist” or main idea vs. details of what is read; understanding/making inferences; being a flexible thinker and problem solver, etc. Such Social Thinking concepts paired with academic strategies increase in complexity as your child advances through the grades. A solid foundation in learning and applying these strategies is essential for school success. 4. WHO BENEFITS FROM SOCIAL THINKING GROUPS? As children develop, they learn the “rules” for navigating social situations and forming friendships. Some children have more difficulty picking up these cues from their natural environment and are able to be more successful when these skills are explicitly taught in the context of the Social Thinking curriculum. Our students often have social learning challenges associated with diagnosis of HFA, PDD-NOS, ADHD, Aspergers, Anxiety, and/or social communication disorder. Regardless of a diagnosis children with social challenges can benefit from this dynamic approach. 5.WHAT IS THE SIZE OF THE GROUPS? WHAT IS THE SCHEDULE? 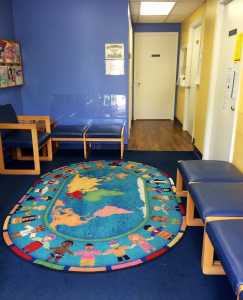 Typically, our groups are 4-6 children with two Speech Language Pathologists. Dyads are also offered when indicated. Individual speech therapy focusing on social development is sometimes recommended for children to target their specific needs and/or to prepare them in order to participate in a group. We conduct weekly groups in the fall, spring, and summer for children preschool-young adults. We provide year long groups from October-May that allow for more in depth intervention and practice of skills. In addition, shorter sessions of 6-8 weeks are conducted to target specific areas. Our summer groups are typically 4-6 weeks and address social, play, and friendship skills. 6. WHAT ARE THE QUALIFICATIONS OF THE GROUP LEADER? Each group is led by an ASHA certified Speech Language Pathologist. Therapists who are licensed by the State of Maryland. Our therapists have participated in ongoing conferences on social thinking and related topics. In addition, Ms. Abrams has completed the Social Thinking Clinical Training Program under the direct supervision of Michelle Garcia Winner, SLP in San Jose. Our programs have been presented at the Social Thinking Providers Conference in California. 7. WHAT ARE THE GOALS OF THE GROUP? Our groups are based on the Social Thinking frameworks and curriculum. Each group has specific objectives that will be shared with you. For children enrolled in year long groups, individual goals will be developed. 8. HOW DO I RECEIVE FEEDBACK ABOUT MY CHILD’S PROGRESS? An individualized written summary report will be provided for children in year long groups. For groups meeting for 4-8 weeks, parents will receive a summary email that describes your child’s progress. Parent conferences can be scheduled per your request with your child’s therapist for an additional fee. 9. WHAT IS YOUR ROLE AS A PARENT? From our first meeting forward, your input as a parent is valuable. We believe your observations and reflections about your child’s social skills provide us with important insights. Your input will assist us in developing his/her program. We encourage you to communicate with your child’s therapist by email/phone. Formal consults specific to your child may be scheduled for an additional fee. Parents receive weekly emails about the concepts targeted during the session. Carryover activities may be provided to assist your child in practicing and generalizing the concepts outside of the center. Our Be Social Kids workshops are also available for you to learn more about the Social Thinking philosophy and how you can facilitate these skills at home and in the community. 10. WHAT IS PARENT COACHING? Parent coaching provides an opportunity for parents to receive instruction and support in working with their child at home. This service is offered by the therapists at CCL to assist parents in developing strategies specific to his/her child to promote social learning at home and related environments. Since every child is unique, individual coaching sessions are designed around individual learning styles and comfort levels. Contact CCL to arrange an appointment for parent coaching. 11. WHAT IS THE PROCESS FOR ENROLLING MY CHILD? • Please complete our Be Social Kids Interest form. • You will be contacted to attend a “meet and greet”. This is an opportunity for us to meet your child and provide you with recommendations regarding an appropriate program. • In addition, we request a copy of psycho-educational assessments, speech/language reports and IEPs to assist us in understanding your child’s strengths and needs profile. We group students with peers that function similarly in social, cognitive, and language abilities.